Home Blog Store Performance: Is It Important? Store Performance: Is It Important? What do you know about store performance on CS-Cart and why should you worry about it? Just imagine, you are hungry. You call a famous food-delivery service, order tasty and not expensive cuisine and expect to get it in some minutes. Remember, you are very hungry. But there are 30 minutes left and you still have no food and nobody answers your telephone calls. What is your further action? You are turning to another food-delivery service. The same is in e-commerce. If you do not provide your customer with fast, quality service, you lose this client. Google takes it into an account and among two equal stores, it boosts the fasters one in SERPs. Have you heard that 1-second delay in page-load time is identical to 7% loss in conventions? It is not a great surprise that having a slow online store your visitors abandon the shopping in your store and shift to your business rivals. So, have to promote your webstore and optimize it. Online store performance is one of the main problems while optimizing the site. Google declared website speed would be having an influence on search ranking since 2010. Here is the link, for those who want to learn more about it. Since that time, online store performance is an SEO factor and the webshop SEO becomes harder without the site optimization. As a result, we should keep an eye on its level. As we have explained why web store performance is important, we will tell you how to test it, how to increase resource speed and what key performance indicators you should monitor. Almost all of our clients use CS-Cart system that’s why we will examine online shop built on the CS-Cart solution. In the beginning, there should be an analysis of your CS-Cart store performance. Your aim is to make a careful estimation of your website. It is possible that the webshop performance is perfect, nothing has to be replaced and, currently, this article is a waste of time for you. But it is a common fact that nothing lasts forever. So, do not postpone this article in a far corner. To be on top of the rating you should constantly run a shop SEO plan. Being experts in our business, we use several services that provide us with a web performance report on the Internet. If you need to check your website we advise you to try the measuring tools, we usually operate with. These tools show what is slowing your online store. Google’s page speed. Good variant as it can optimize images on the fly. Web Page Test This service gives an ability to check the page speed for every country and city. It is up to you to decide what service is worth to use for checking your e-store performance but the best variant to try all of them. Methods to increase the performance of CS-Cart store. You have checked the resource performance and understand that it is far from the ideal. What should you do next? First of all, check the server configuration, because if its poor, it's for sure the main reason why CS-Cart slows down. If the server has no problem, second thing, you should check the reports from the services above. It indicates what exactly you should change in your online store. JPG, PNG, and GIF formats are preferable to use on your web store. Use several online tools to optimize your pictures. SmushIt compresses pictures by removing nonsignificant bytes. It reduces the weight of the picture avoiding loss of the image quality. JPEGmini can compact the picture up to 5 times without loss of quality. Google Page Speed compresses images in the air. It is convenient and fast. CSS - cascading style sheets; the files that make your website pretty. CS-Cart developers have already thought about this issue. ‘join_css’ => false, // is used to unite css files into one file and change “false” to “true”. Leverage browser cache Before a web browser displays your shop, it has to load many items: logo, banners, CSS files and etc. 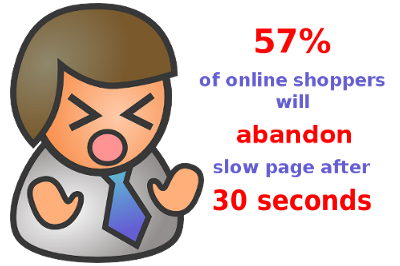 Your online shop will be opened faster if the browser remembers the resources that it has already met. How to leverage browser cache? Find your .htaccess file in the root of your domain. Open it. Alt-team coders have successfully increased web store performance for many online shops based on CS-Cart platform. 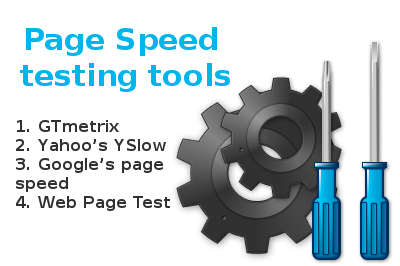 We have developed several ready-to-use extensions for making page speed faster. We are going to tell you in short about our products that help you optimize the webshop and increase page speed. Our modification “Page Load Speed Optimizer” allows delivering all data without referring to MySQL files as Memcached stores all loaded information. Data query, parts of the code, category pages, product pages and even static blocks may be cached with the help of “Page Load Speed Optimizer” add-on. The main question that usually appears - What is Memcache? Memcached is a free and open-source software that is used for alleviating database load to increase the site performance. For example, the products on category section are loaded once, then added to memcache and if the next user refers to these products on the category page, the data will be loaded from Memcache, not from the database. It makes the website work faster. In accordance, the cache storing period is necessary to define. If you specify 3 hours for memcache storing, it will be kept for 3 hours then the CS-Cart system will clear it. It is self-evident that you may clear the cache manually. Alt-team company could also offer “Cache for Anonymous Users” add-on. Your unregistered shop visitors will get the fast-page load as only cashed site version is shown to them. It sounds good for the business and helps to escape the potential customers' loss. In case of this add-on, the whole HTML code is cached. Example. Your first anonymous website visitor opens the page on the shop. The HTML page is generated for him and loaded from the server. He waits while the page loaded. It is slow. But the nest website visitor will get the already generated page and it will be fast as there no need to refer to a server. If the user adds the product to cart or logged in an online shop system he is no longer the anonymous user and he doesn’t get the cached versions of online shop pages. As a result, the webshop will be loaded without cache for anonymous users. All google crawlers refer to anonymous users so they get the cached variants of the pages. As a reaction, the store will be listed and ranked in Google well. Learn more about CS-Cart “Cache for Anonymous Users” add-on here. Moreover, Alt-team is able to examine the online shop based on CS-Cart and give you a detailed report what server configurations and optimization should be made to the SEO shop plan. We have already mentioned the importance of config.local.php file. Here is the explanation of some code lines in this file. They advise to delete languages that are not necessary for the store. Please notice that they tell you to delete them not just disable. CS-Cart recommends optimizing the database by maintaining the database in Administration. At last, they guide you to change the caching type in config.local.php file. there is a sales growth in your business thanks to fast shop performance and SEO factors. 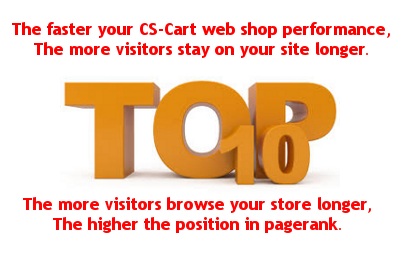 We have a great experience in increasing CS-Cart store performance. Order CS-Cart Optimization and you forget about the problems of a slow store. "Thanks for an article. I've bought Cache for Anonymous Users for CS-Cart 4 and it helps a lot. It reduces page load speed to less than a 1 sec. It's not perfect, but it was 5 seconds earlier without the addon. Good job. I will check other your solutions. "